Home Off Beat	Steampunk phone – Now that’s more like it! 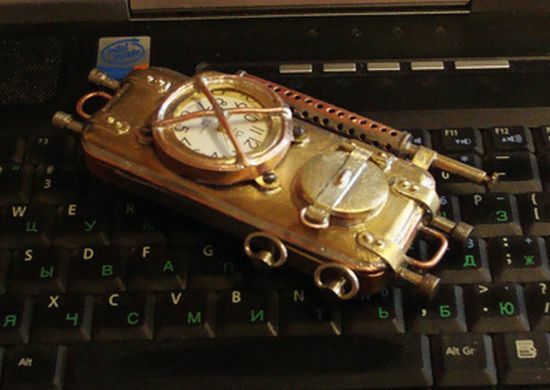 Steampunk phone – Now that’s more like it! Last week, if you remember, I covered a similar Steampunk phone that according to me was the craziest marvel from the Steampunk world. But today, I would like to take my words back and pass it on to the one featured above. Because when you use the word “craziest” with something, there cannot be anything crazier than that. Right? The only thing that creates a doubt in my mind is that phone was built around a classic Nokia cellphone and looked functional, which in this case is not so evident. More pictures after the jump.